Dear clarinet friends from all over the world, I am very happy to share the story of Chinese clarinet development with you. My name is Yuan Yuan, clarinet professor at the China Central Conservatory of Music, Beijing (CCOM). Chinese clarinet development parallels our country’s development. When I was a student in the 1980s, not so many people in China were learning the clarinet, and I didn’t know much about it. There was no internet, no good editions of scores, and lots of music was hand-copied. People would bring back scores from abroad and Hong Kong, and we would copy them; it was the only way to get the scores. Not many people knew about instruments and accessories either. My first professional mouthpiece was brought back from Hong Kong by a friend. I used it for a really long time, and couldn’t get myself to change it. In the early development of Chinese clarinetistry, there were some highly respected Chinese clarinetists. They were the first overseas students appointed by our country to study in Eastern Europe and the Soviet Union. My teacher, professor Tao Chunxiao, is a representative. They brought back many clarinet teaching materials and their learning experience, and built the Chinese clarinet teaching system. In the meantime, they promoted the development of Chinese clarinet works that time; some of these works are still very popular now. With the opening of China, people were paying more and more attention to art. Many of my classmates at CCOM went to America and Europe to study, so academic exchange was becoming more common. 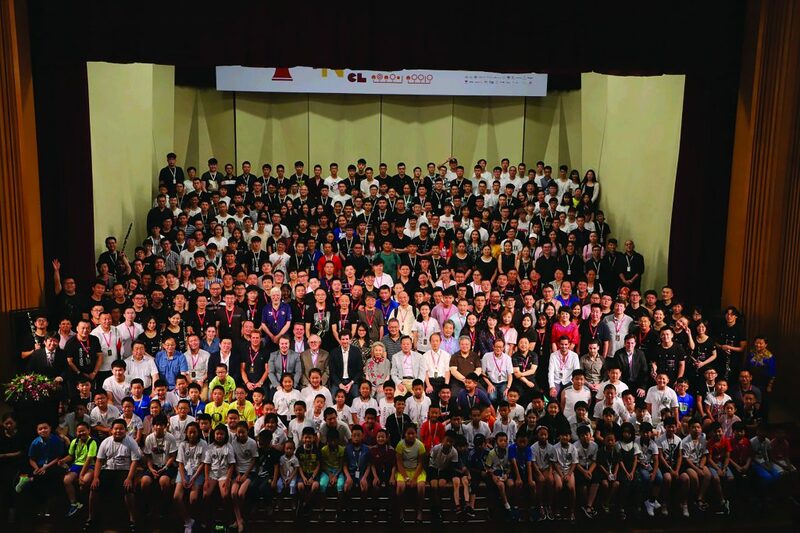 What made a big impression on me was the respected professor Guy Dangain’s master class at CCOM – his teaching ideas and recital caused a sensation throughout Beijing. Then every year there were prestigious European and American clarinetists, and educators gave master classes at CCOM, but not very often. I realized the gap between the Chinese and international clarinet playing level by listening to these clarinetists’ recitals and master classes. But at the same time it made me love this marvelous instrument more, and I began to have an infinite vision of the future. I hoped I could be a clarinet teacher. Eventually in 1997, I was admitted to the Conservatorium van Amsterdam, where I studied with professor Herman Braune. During my two-year study in Holland, I listened to many concerts and gained new understanding of clarinet playing. When I went back to China, my dream came true: luckily, I was appointed clarinet teacher at CCOM and started my clarinet teaching career. I also played in the China Philharmonic since 2005. 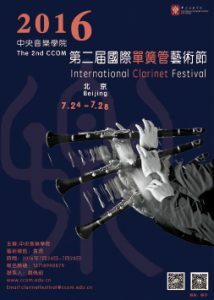 Eventually in 2013, with the support of CCOM, I founded the CCOM International Clarinet Festival. 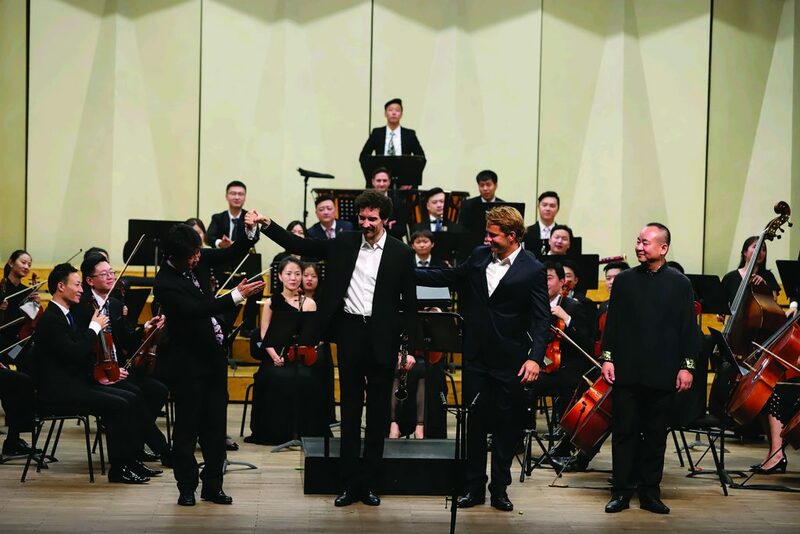 I believed CCOM, as the best music conservatory in China with its great concert halls and practice rooms, would make the festival progress smoothly. So far, the festival has been held three times (2013, 2016 and 2018) and invited dozens of international clarinet virtuosos to perform, including Ronald Van Spaendonck, Philippe Berrod, Julien Chabod, Vincent Penot, Min Jo Kim, Laura Ruiz Ferreres, Paul Meyer, Corrado Giuffredi, Milan Rericha, YaoGuang Zhai, Jorge Montilla, Florent Heau, Yuan Gao, Jonathan Cohler, Yue Ma, Weileng Chen, Eddy Vanoosthuyse, Nicolas Baldeyrou, Laszlo Kuti, Mingzhe Wang, Benjamin Lulich, Juan Ferrer, Vitor Fernandes, Masako Miyako and Cristiano Alves. We have also invited many Chinese clarinetists, teachers and students to perform. Each time, the festival gets bigger and bigger. More and more people hope to come to Beijing to participate in the festival to perform and listen to wonderful recitals. In the 2018 festival, the number of participants reached 700. Of course, China is huge. With these years of development, there are more people who love to learn the clarinet. I believe the festival in the future will draw more attention and have more participants. The CCOM International Clarinet Festival is also a platform for showcasing instrument brands. Each one has an exhibition of clarinet instruments and accessories from throughout the world. 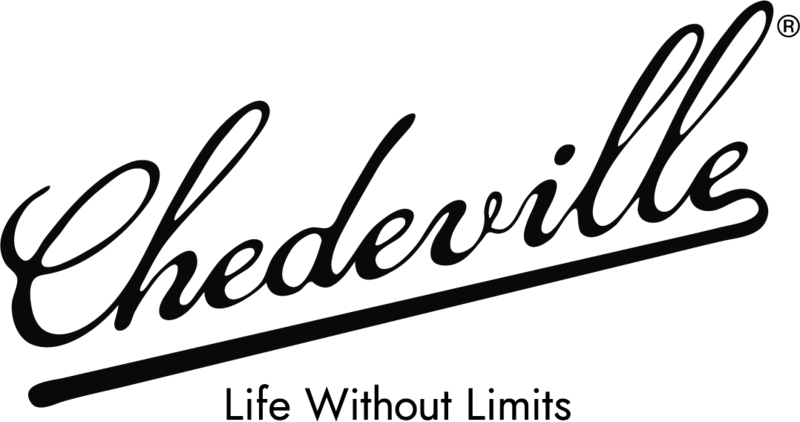 We welcome more and more professional clarinet manufacturers to the festival, making closer contact between clarinetists and manufacturers. The scale of each festival is expanding. 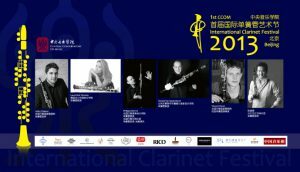 The CCOM International Clarinet Festival in Beijing is the stage of world and Chinese clarinet exchange. It brings the best clarinet virtuosos throughout the world and prize winners from international competitions to the Chinese audience, meanwhile showing excellent young Chinese clarinetists to the world, letting the world get to know them and the Chinese clarinet playing level. This was my original intention in founding this festival. In the meantime, it is also a platform to let Chinese clarinetists know about international instrument brands, and let the world know about Chinese brands. Each CCOM International Clarinet Festival has a special concert for youth clarinet students. The organizing committee arranges to bring remarkably talented young players and prize winners to the stage. With the developed internet in China today, their impressive performance on live webcasts makes them a hot topic in the Chinese clarinet world. Each CCOM International Clarinet Festival has a fervent climax. The organizing committee arranges prestigious Chinese clarinet educators and virtuosos to tell the audience their successful experience. In the second festival, a clarinet ensemble formed by three generations of Chinese clarinetists – the older, middle-aged and younger – together performed a concert. Professor Tao Chunxiao served as the concert master. In the decades of Chinese clarinet development, this was the first time such an event had happened. It was a concert that moved everyone, and pushed the festival to a climax. Apparently this concert had historical significance. International clarinet virtuosos’ recitals in the festival have undoubtedly been very popular with the Chinese audience. International clarinet development is changing, too. The Chinese audience is learning not only about different clarinet playing styles, but also about newly composed clarinet works. With the continuous development of China’s economy, Chinese families are increasingly supporting their children in their music studies. Clarinet is of course an epitome of this. China is huge, and many schools in every city have established orchestras and wind bands, so there are many kids learning the clarinet. I am sure in China the number of clarinet learners is the largest among the wind instruments. 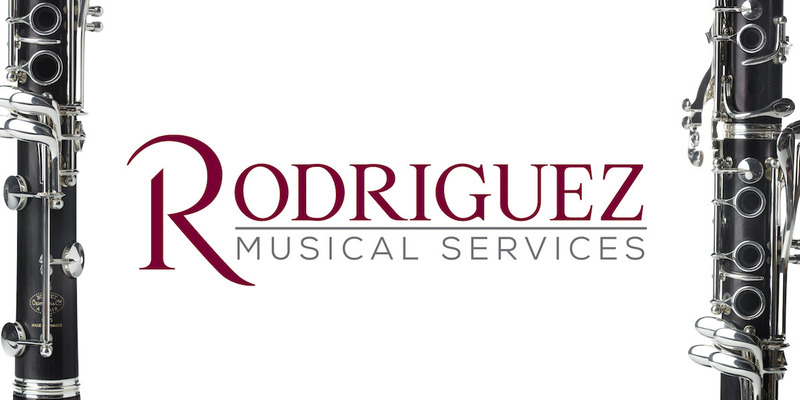 Live webcasts let more people listen to every fantastic recital in the festival. Music needs exchange, and Chinese clarinetists are eager to know about the directions and news of international clarinet development. With the popularity of clarinet in China today, there is more professional talent, and the level is also continuously improving. There are some young clarinetists who have won prizes at international competitions. Although they are not top competitions, compared with 30 years before, today’s changes are happening so fast, sometimes even to me. 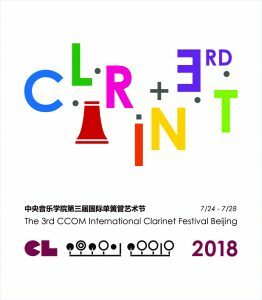 Just because of this, I firmly believe holding the CCOM International Clarinet Festival will absolutely close the distance between Chinese and world clarinet playing. I believe this stage belongs to everyone who loves the clarinet. Let us move beyond language, enjoying each other’s music through our marvelous instrument, the clarinet. Yuan Yuan is deputy principal clarinet with the China Philharmonic Orchestra and associate professor of clarinet at the China Central Conservatory of Music. Yuan earned First Prize and Spe­cial Award for Chi­nese Work Per­for­mance at the First Na­tional China Clar­inet Com­pe­ti­tion and First Prize of the First China Wood­wind Cham­ber Music Com­pe­ti­tion, and has been in­vited to per­form at fes­ti­vals in­clud­ing the Fes­ti­val of the Cen­tral Con­ser­va­tory of Music, the Mod­ern Fes­ti­val of the Cen­tral Con­ser­va­tory of Music, the Xi An In­ter­na­tional Clar­inet Fes­ti­val, and the Shang­hai In­ter­na­tional Clar­inet Fes­ti­val. His teachers include Yuan Fu Huang, Chun Xiao Tao and Her­man Braune. Next Post: ClarinetFest® 2019: Welcome to Good Ole Rocky Top!